The sirens have risen from their slumber in the form of Wyvern Lingo: The Irish trio of Karen Cowley, Caoimhe Barry, and Saoirse Duane, Wyvern Lingo paint hypnotic flurries of strength and sorrow, heartbreak and redemption, awareness and social conscience on their self-titled debut album, Wyvern Lingo, out now! How does that make me a bigot? At times, the trio blend lush three-part harmonies together, as is the case with album opener “Out of My Hands,” whose slow-rising energy helps introduce the band’s lyrical, instrumental and melodic prowess all at once. “I Love You Sadie” introduces a sensual sound with an edgy, darker pulse – think Side Two of Michael Jackson’s Thriller. Working with producer James Kelly (WIFE, Zola Jesus), Wyvern Lingo make the most of their talents – particularly their vocal skills – by keeping things as fresh as possible. On “Maybe It’s My Nature” and “Crawl,” three-part harmonies swell together as one in the verses, but the supporting vocalists split from the lead in the choruses, creating a bed of backing melodies instead. Saoirse Duane sings an intimate outpouring of pain and heart as she strains to be someone else’s anchoring rock, while at the same time needing a rock of her own. The equally distinctive ballad “Used” continues along the quieter path, finding Caoimhe Barry leading the trio in a heartfelt and impassioned rejection. The weight of its lyrics are magnified as a result of a slower speed and lack of surrounding instrumentation, making the song a stirring and defining moment on the record. Did I taunt you with my voice, was it my hair that maddened you? Of course, this is just the halfway point on Wyvern Lingo’s majestic record – an album that is not without a good number of surprises. We previously described single “Snow II” as “jazzy, warm, and full of love and sadness,” and indeed the song’s vibing nature fits perfectly on the back half, a spine-tingling lullabye of longing and restraint. Yet just as we’re falling into that dreamy, music-induced slumber, Wyvern Lingo breaks us out of that daze. Writhing, overdriven electric guitars add new textures in “Fear,” a dissonant and critical song: “Just a puppet dangling, your users poised as they pull on the strings, toys will be toys. I fear, fear…” Wyvern Lingo sing. It’s a pointed sociopolitical commentary, not necessarily directed at anyone in particular – meaning it really applies to all of us. For all their dreamy darkness and slow jamz moments, Wyvern Lingo end their debut on a high note with “When I Can,” a playfully insincere apology for not calling back. One of the lightest, easy-breazing moments on the record, it’s a final invitation to stand up and groove; to clap along and feel the rhythms. Wound with a tight beat, it’s the type of ending that makes you want to start the record all over again – and you just might! 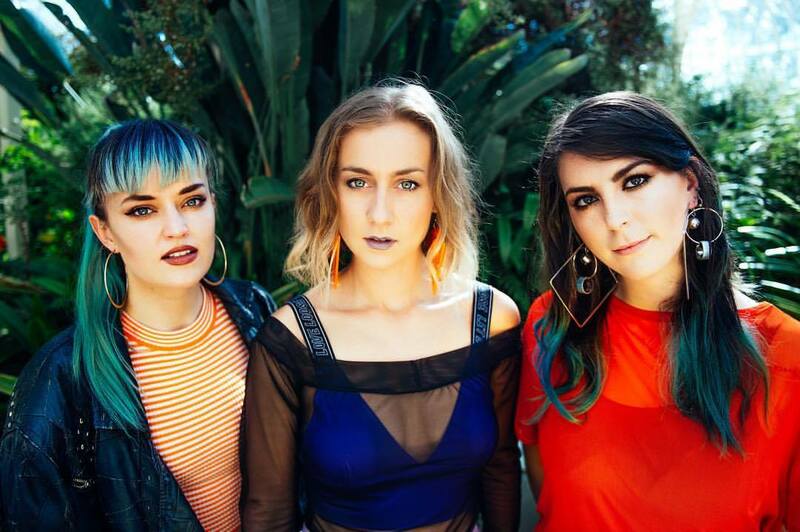 Wyvern Lingo were one of Atwood Magazine’s 2018 Artists to Watch, and they fully delivered on this debut. 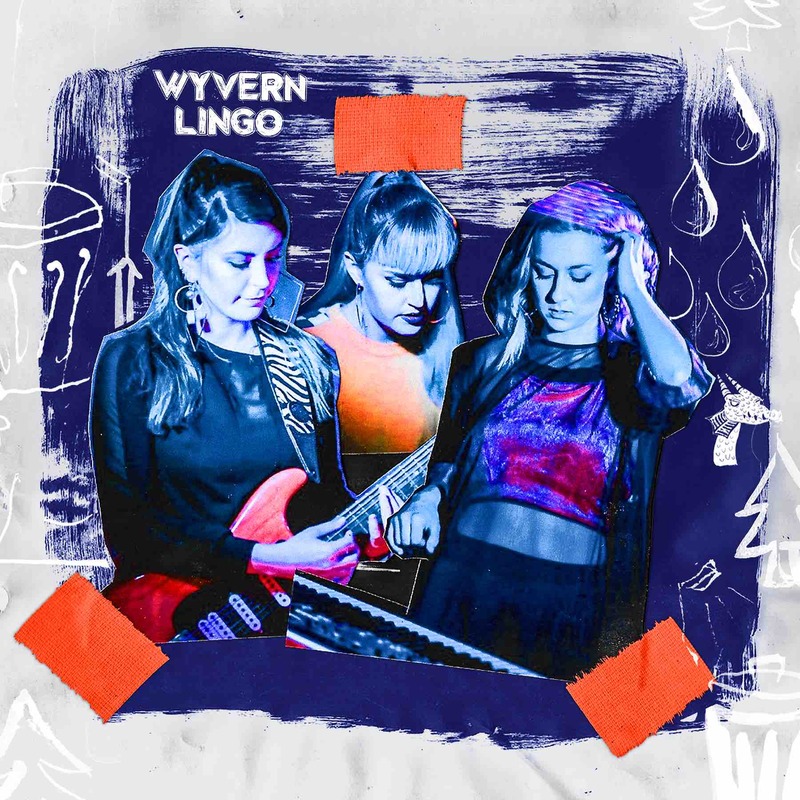 Taking us high, then low, and then high again, Wyvern Lingo is absolutely delightful – a spellbinding sonic journey rich with warm, dazzling harmonies and deep, moving rhythms. It’s an encapsulating debut that seems to bring out the very best of these three immensely talented musicians, and yet it’s crystal clear that they still have so much more to offer. 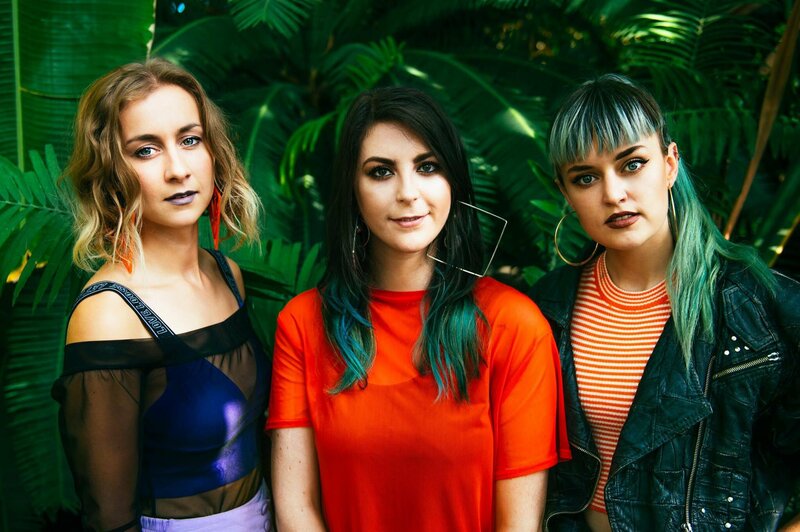 Now that they’ve officially set sail, we cannot wait to follow Wyvern Lingo on their voyage. Stream Wyvern Lingo’s debut album, out now, and catch them live throughout the UK and Europe this March – tour dates below!